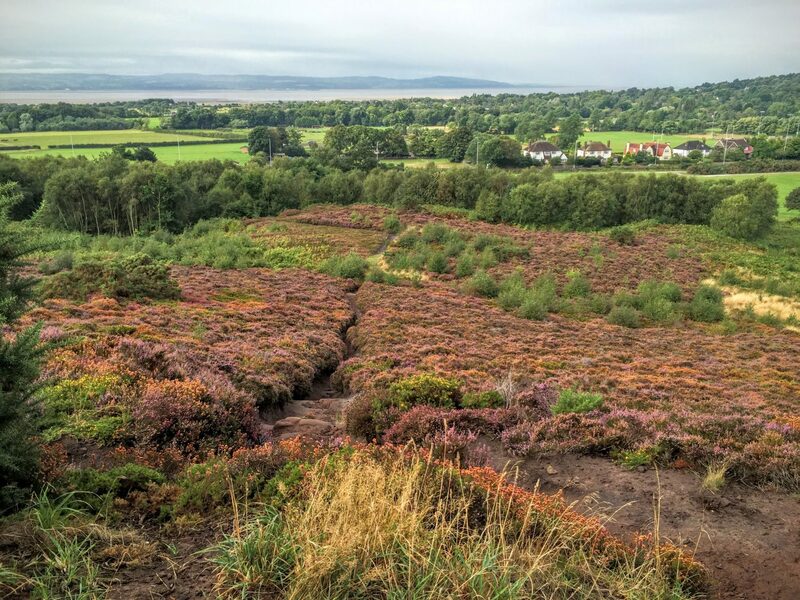 Making up for our cancelled camping trip, our first place for exploring was Thursaston Common on the Wirral. You might remember that we were planing a camping trip to St David’s in South Wales. Unfortunately, my Mum became poorly with Pneumonia and has a stint in the hospital. Because of that we decided to stay on the Wirral so that I could cook for them and take care of the chores for them. Oh and save them from having to deal with the cats too! 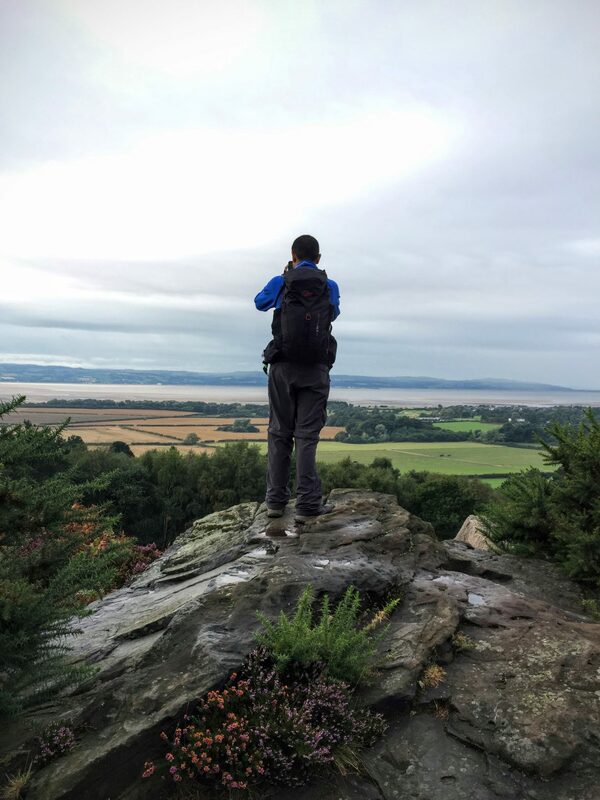 Luckily for us, my parents live on the Wirral, so we had an abundance of places to visit on the Wirral side and in North Wales. 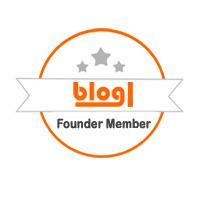 More than enough to fill our days and fulfill our exploring needs. Having grown up in these parts and spent many a holiday in Wales, I know the area well. However, as I say, there is always more to be discovered. Plus, an adult perspective always changes things anyway. With visiting time in the hospital and sorting things at my parents’ house, we decided to start exploring locally. 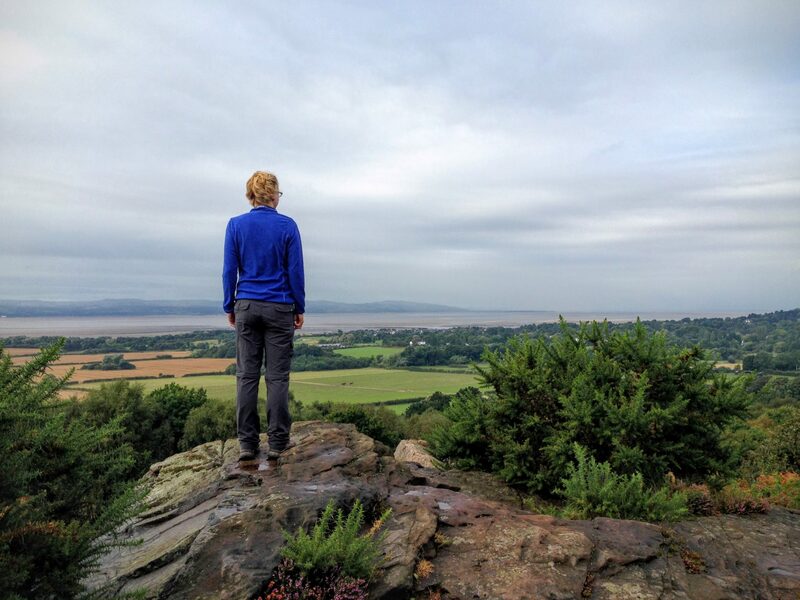 Jit hasn’t seen much of the Wirral, so it was the perfect opportunity to show him around. 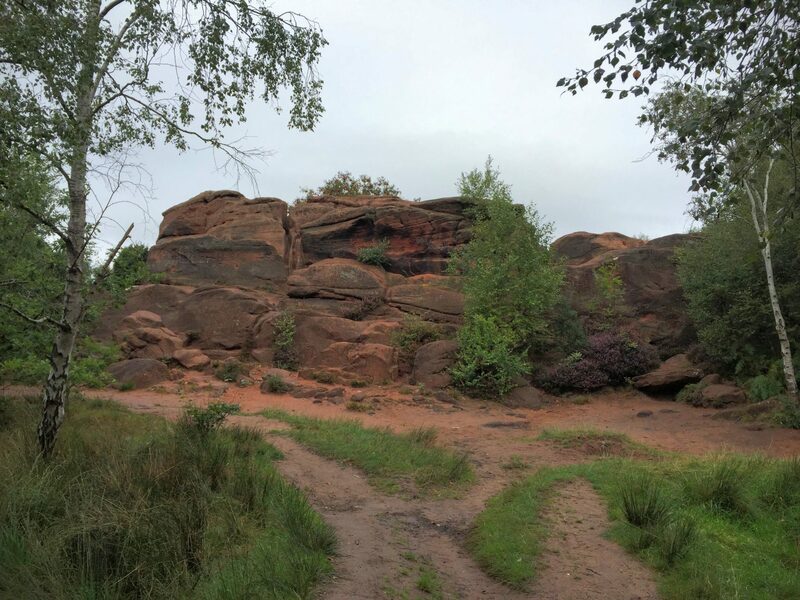 Our first port of call was Thurstaston Common – partly for the giant sandstone – as we have visited the beach together numerous times but never the common with each other. 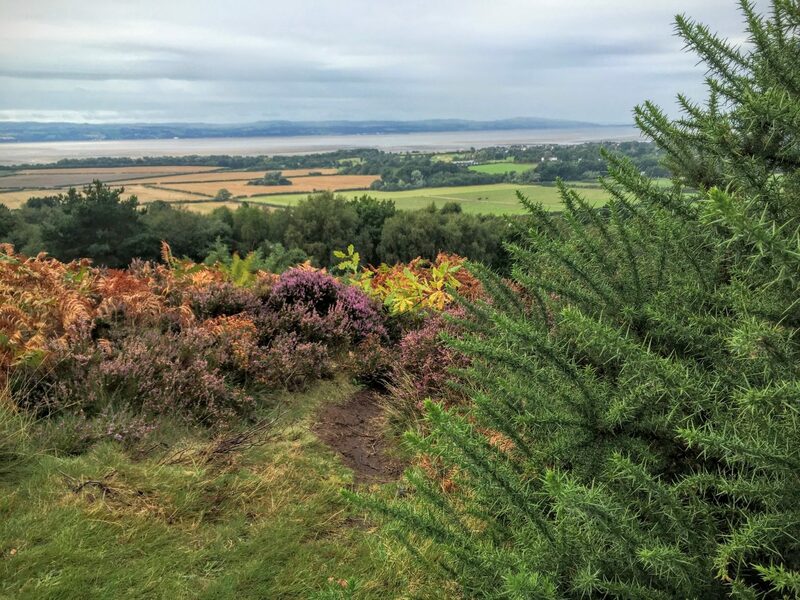 Thursaston Common is a Site of Special Scientific Interest (or SSSI), a local nature reserve and a fantastic hill with views over the Dee Estuary, over to Wales and the surrounding villages as well as the home to Thor’s Rock. I never realised that the huge sandstone outcrop that I used to climb on adventures around the area in my youth had such a cool name! I also discovered that it has a lovely little story about it being locally known as ‘Fair Maiden’s Hall’. Which is where the children would be “in the habit of coming once a year to dance around the stone”. Although it sounds pretty bizarre, I am pretty sure that I will have danced around it sometime in my life. 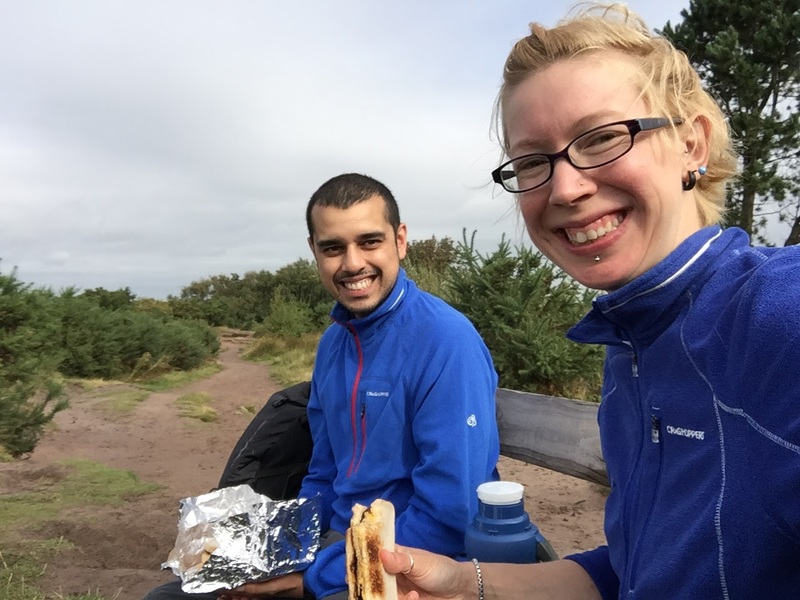 Perhaps on one of the Guide camps to Royden Park! 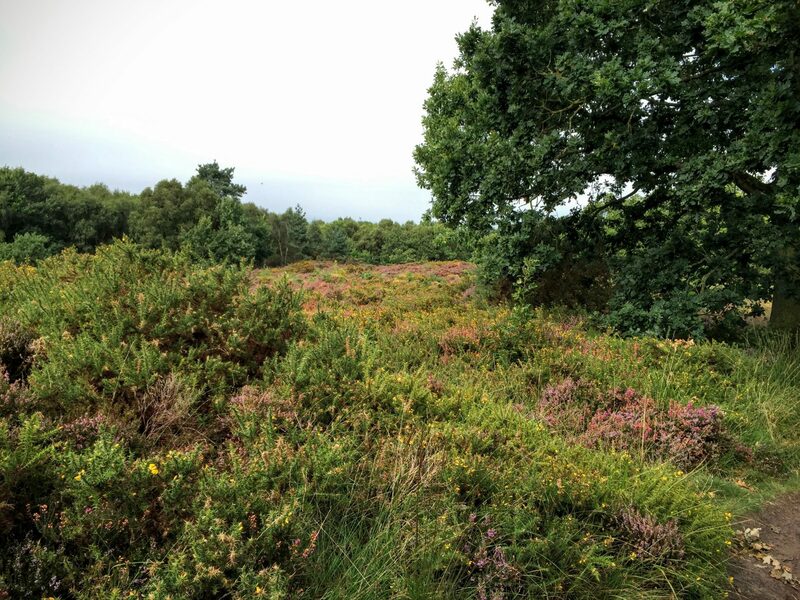 There is a car park at the start of the circular walk and is a great location for exploring both the beach and the hill as well as having access to toilets at Royden Park over the road. The path begins by the information sign and leads you upwards through the trees over the rocky, uneven, steps. You will then come to a clearing which at first glance is pretty bland. But I assure you that it is just the star of the gorgeous views and stunning foliage growing between the stones and rocks. From this bench you can see all the way over to Wales on a clear day and enjoy pooping through to see the golf players and rugby games if you’re lucky. The views are amazing and because the bench is slightly set back, you won’t be disturbed while you take a break or have a snack. Although the path isn’t very clear, you can see which direction to follow by the way that the sandstone has worn. It will lead you around, but remember to take a detour or two to discover the views! Behind each bush is something new to see. Even Jit got in on the photography action. I caught him mid panorama in this one. 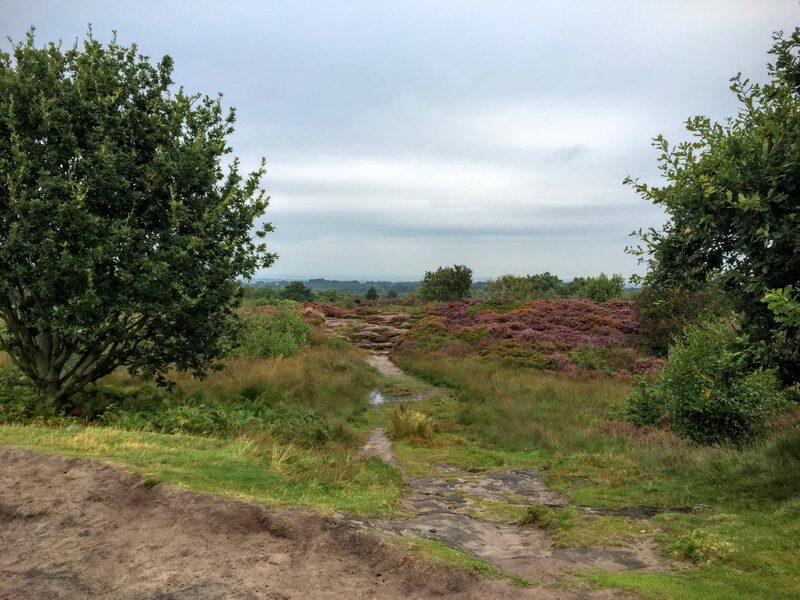 Carry on around the path and exploring the top and you’ll be able to see the abundance of plants and glorious purple heathers (if you visit during heather time). As you can see, the Caldy Rugby club is not far at all and perfect for a distant spectator position if they’re out having a game! …and if when you look to the left you get a stunning view of the Dee and the feint hills in Wales. It is incredible how close the Wirral is to Wales! And how much there is to explore on such a small peninsular of the country. After covering a lot of ground on the hill and absorbing the beautiful views, it was time to head towards the giant sandstone rock from my childhood. Which I now know is called Thor’s Rock – which is way cooler than the giant rock! It is not as easy as you would think to remember routes from around 20 years ago! We found ourselves retracing many steps as we circled round and round. It was fun getting lost though! We finally succumbed to asking for help from a lovely dog walker with barky dogs. She wasn’t so sure either, but at least set us in the right direction. Down the hill from where we had sat for brunch we headed. Through the plants and down the rocks. All the same, it was exciting to see it again and to share it with Jit after all the stories I had told him about it. I also don’t remember there being so many plants and trees around it – but that was a good while ago! 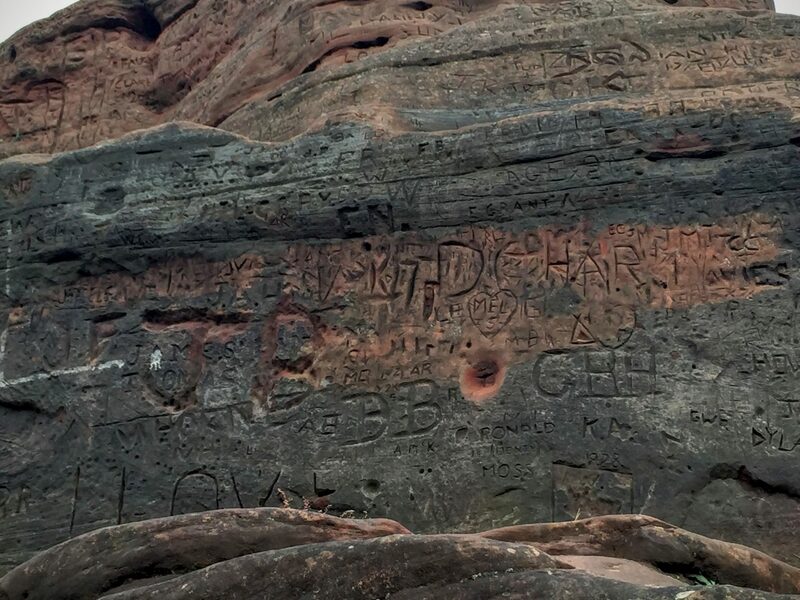 Being a good girl, I never wrote my name in the rock. Something that I still don’t do now either. But I do enjoy hunting down the old ones and seeing how much of the rock has changed since I last saw it. The ‘ish’ part comes from the fact that I did have a little climb on the rock – for old times sake! The climbing was the main reason we used to visit when we were kids, so much fun finding new ways to scale the mammoth stone and hide from the boys that were trying to stake claim. I did use the already eroding paths and didn’t write my name, so surely that’s OK? Right? 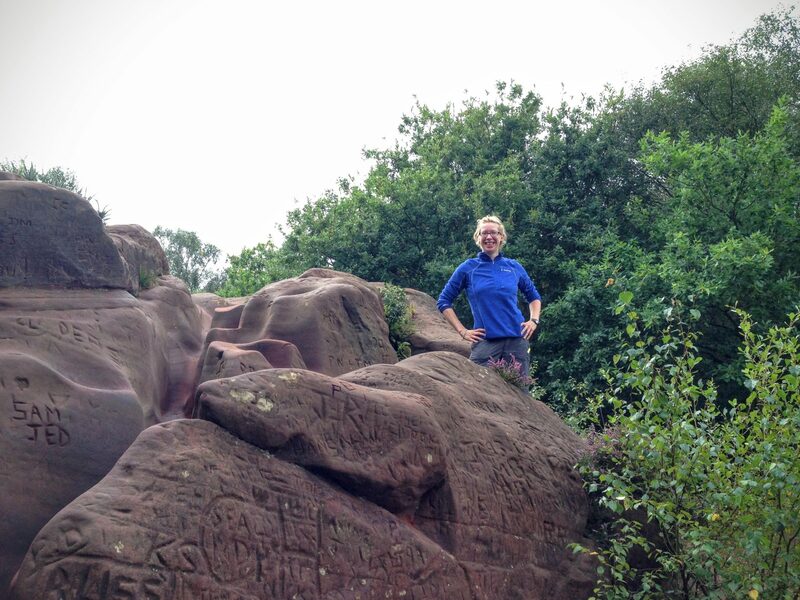 Visiting Thurstaston Common brought back all sorts of fun memories from my childhood and the adventures I had with my friend Nicci. We got into lots of mischief, made up fantastic games and created an exciting world for ourselves. With walkie talkies in hand to plan ahead and stay away from the boys! 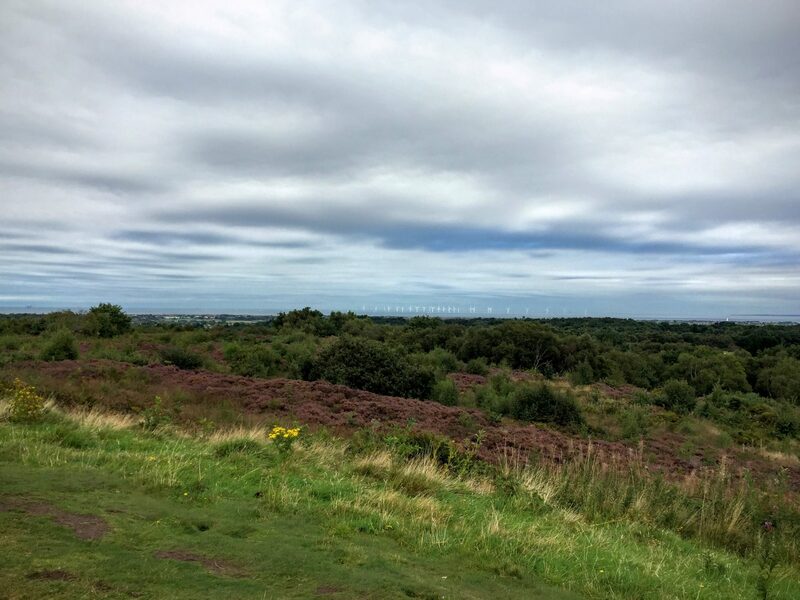 With my memories freshly swirling, we headed back towards the car park and Royden Park for the toilets and to prepare to be on our way. The walk back was a fantastic array of golden colours from the ferns as they begin to die down. 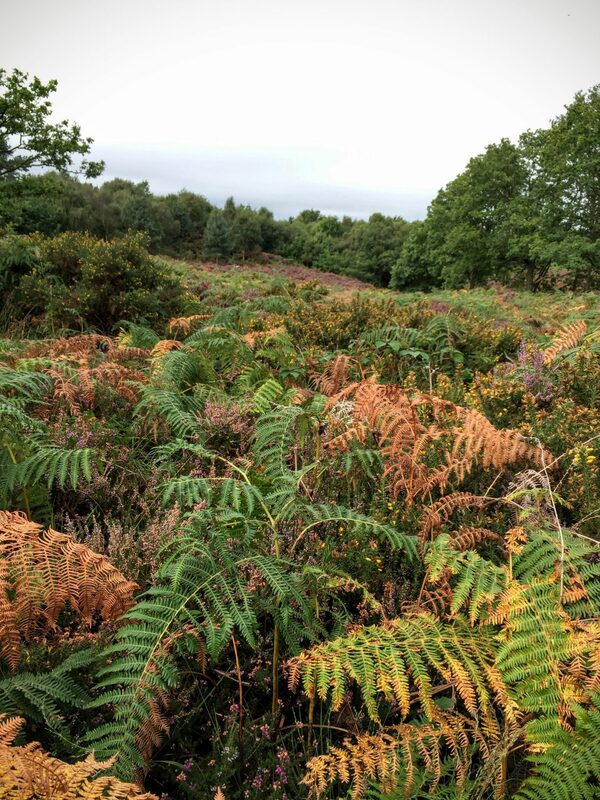 Dappled between them were the greens of the trees and the purples of the heather. Despite what many say, the Autumn makes the perfect time for a wander in the woods. Never ones to take the straight forward route, we decided to detour through a side path that we discovered. 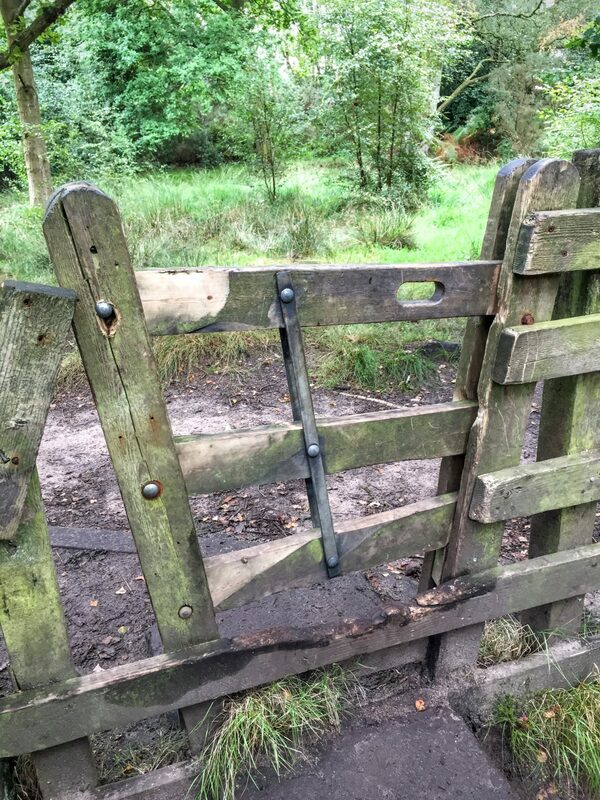 It was a great choice as we found a really intriguing gate that had us puzzled for a moment or two. We now think that it would be a great design to replace the one we have outside our house! Although, I’m not sure the postie and Ocado guys would agree. Have you seen one like this before? Our crazy gate took us through to another path taking us up the hill. The views, again, spectacular with the light sparkle of the wind turbines on the sea. It is funny how some of the places that you stay near to or live nearby end up forgotten when you’re thinking of places to visit or walk. 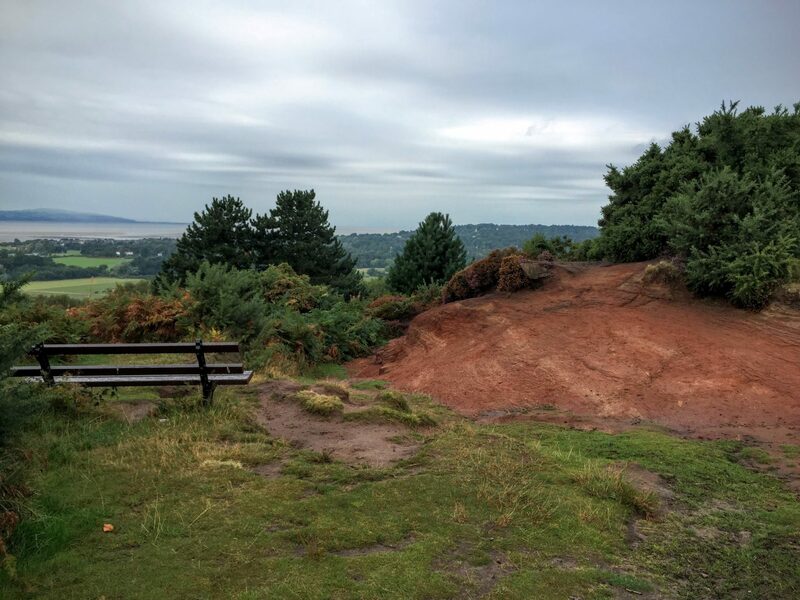 We often stay with my parents on the Wirral so have plenty of time for exploring and Thurstaston Common has often come a second to the beach. I think from now on it might move up the list. That or we’ll just have to get out earlier to hit them both! 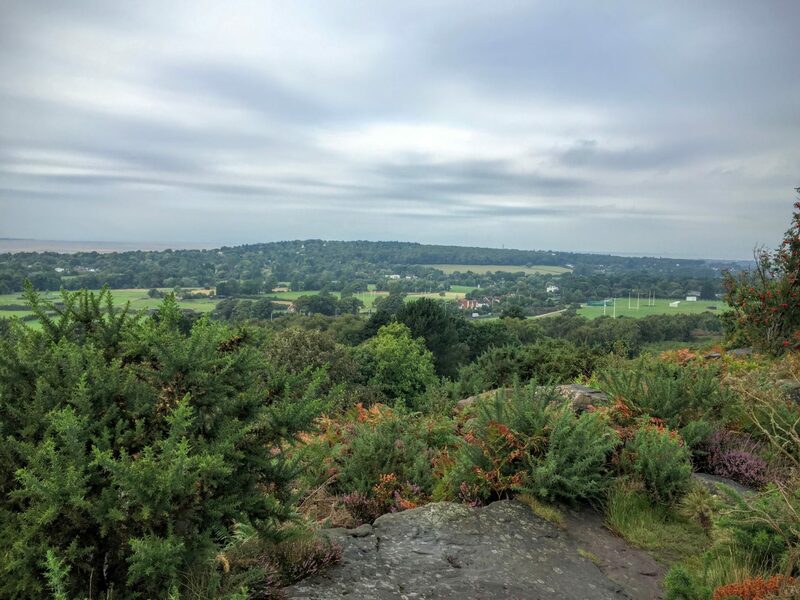 If you’re Wirral side and looking for a quick and beautiful walk for a morning or afternoon, then Thurstaston Country Park should definitely be an option. You can spend the day here too and also visit the beach. We had an incredible time visiting my old wild playground and I know that we’ll be back soon. Keep exploring and let that inner child out! Where did you adventure as a child? Have you been back to play there again? Share in the comments below as I’d love to hear your memories too! 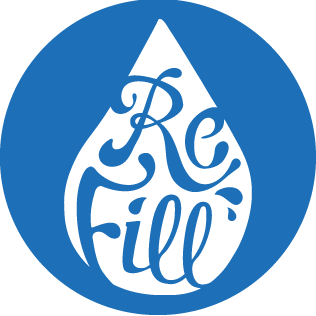 Facilities: Toilet and Cafe at Royden Park and Visitors Centre. Picnic Area.